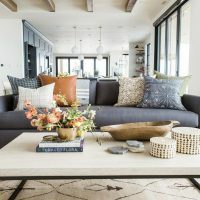 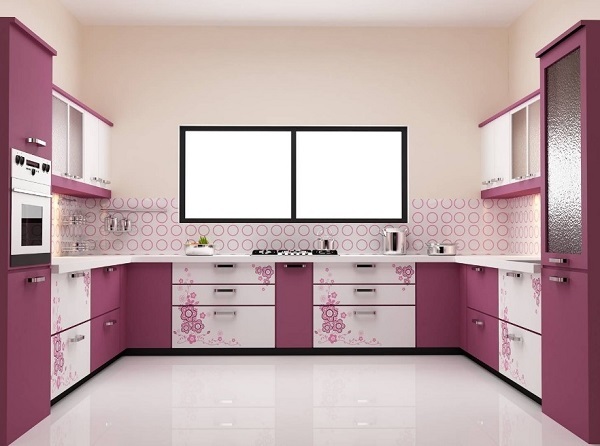 The colors in the rooms that are used daily, such as the kitchen, should not be vibrant and very strong, and the used materials should be practical and suitable to be easily maintained. 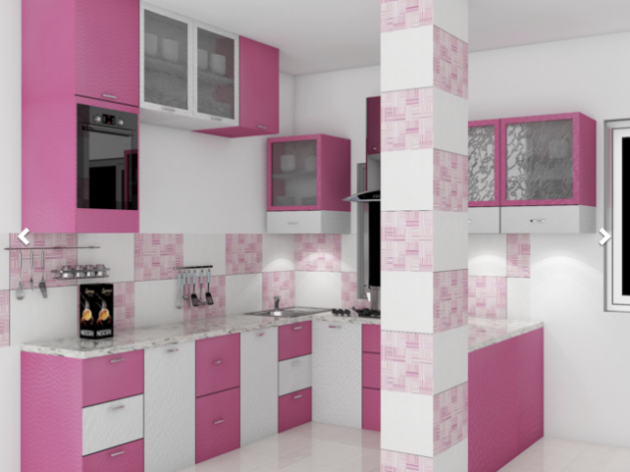 This room, in this case the kitchen, with the chosen colors, need to be comfortable and fresh. 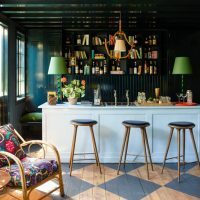 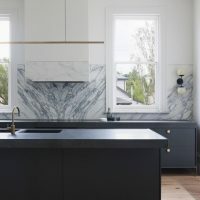 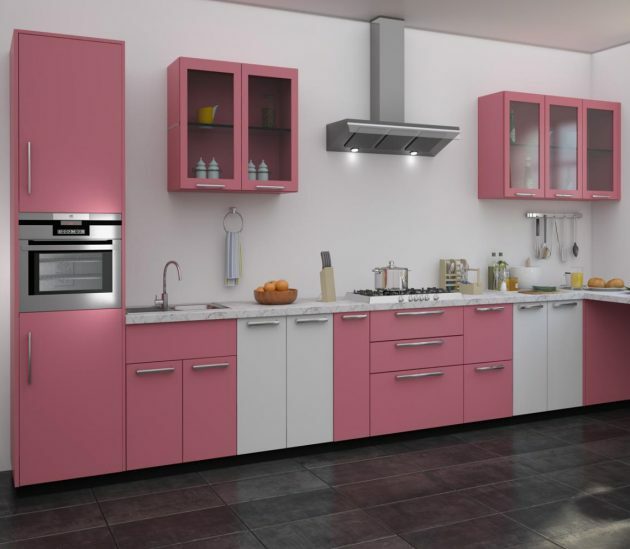 The use of colors in the kitchen is linked to many important details that are not easy to predict, but it is difficult to change them after all is set. 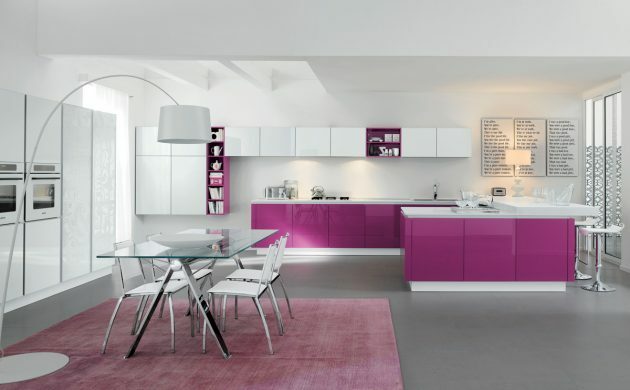 So, it’s good to know how the colors act on each other and how a simple change of a single detail affects to the look of the whole kitchen. 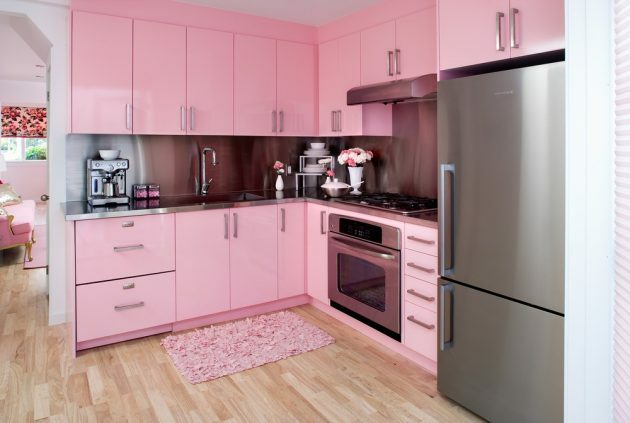 The pink color falls into the category of subtle colors. 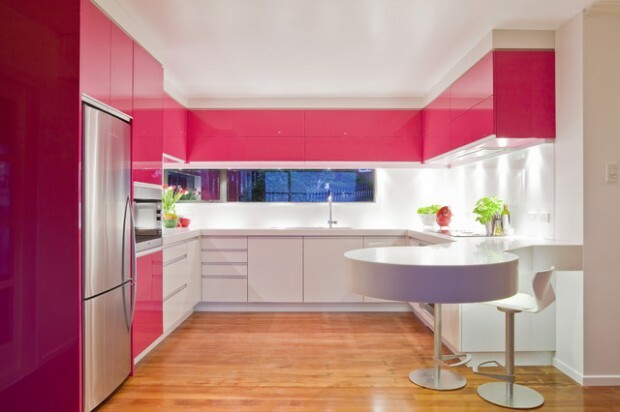 It is very grateful color, you can use it in many shades, as dominant or as a color for specific details. 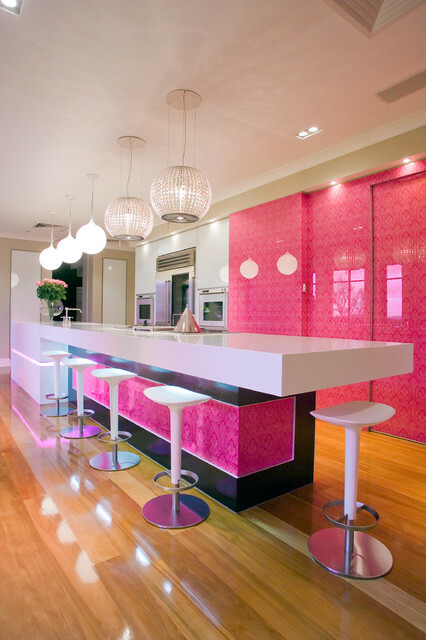 Pink has attractive, soft shades, and contributes to the soothing atmosphere in the home. 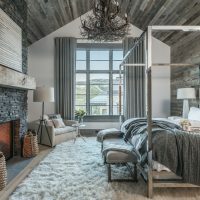 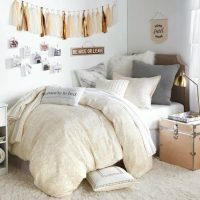 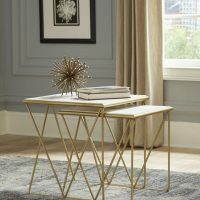 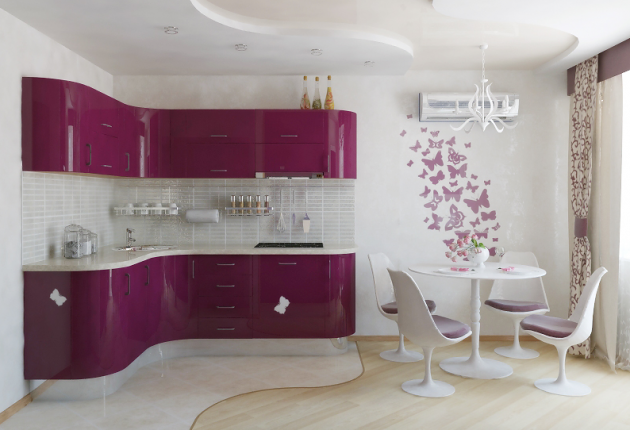 It is perfect as a base color in the interior, but also for the details of the room. 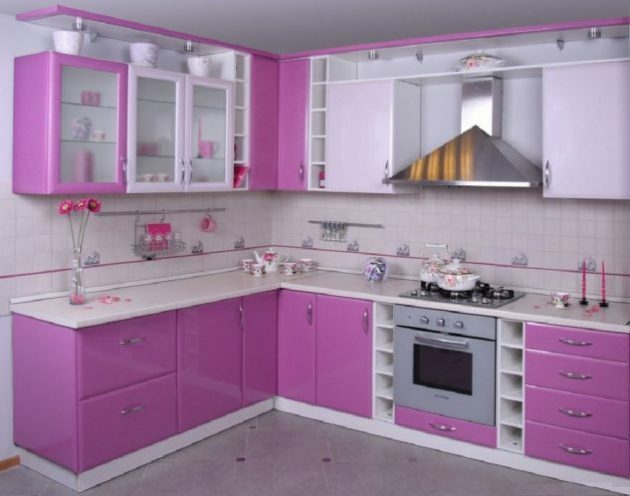 Very nice can be combined with green, yellow, blue. 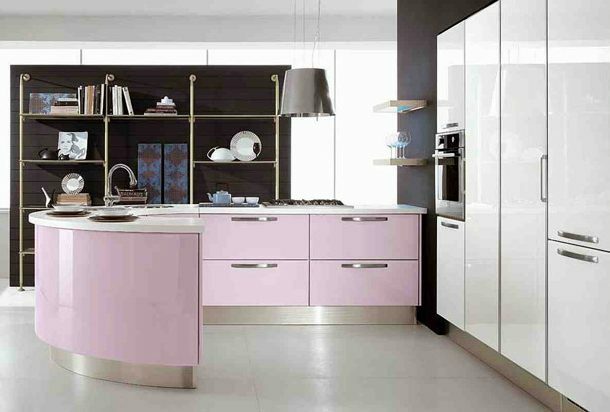 Every nuance of the pink has a special charm. 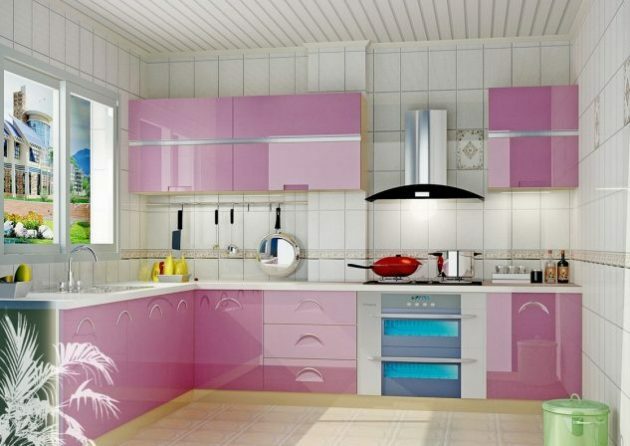 Lighter shades are best choice for bathrooms and kitchens. 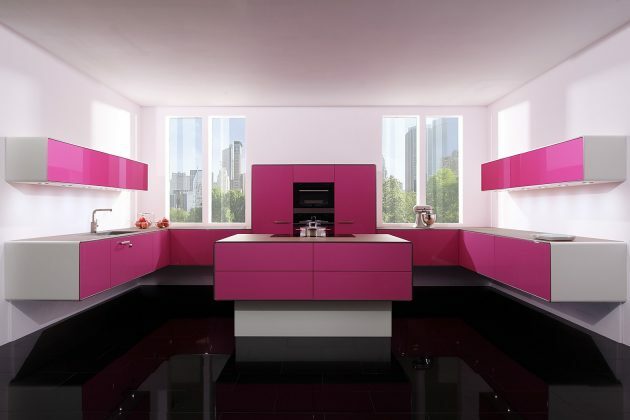 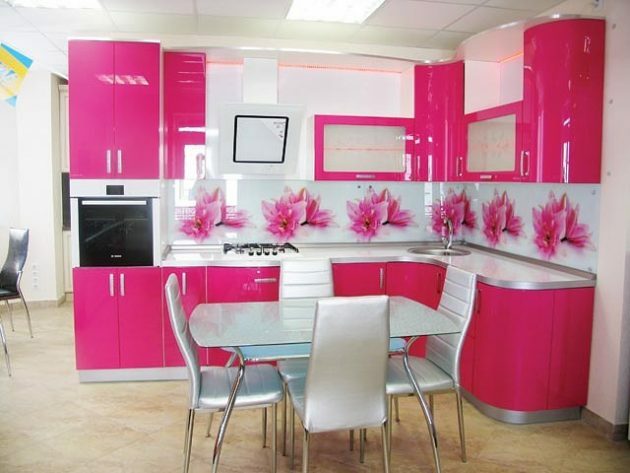 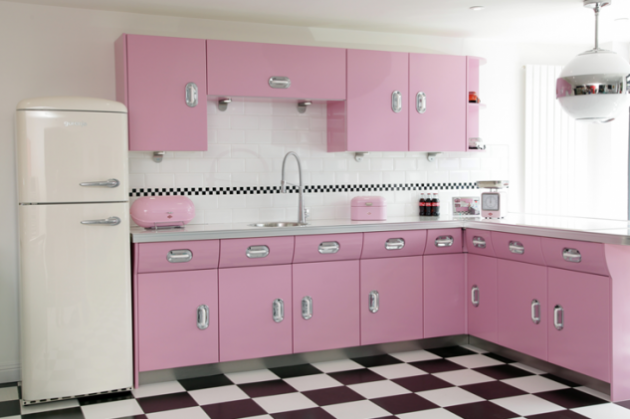 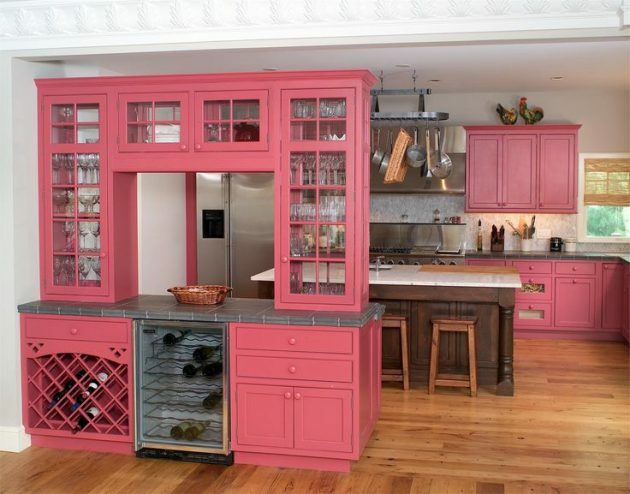 If you think outside the box and you want kitchen with extraordinary look, you can opt for pink kitchen. 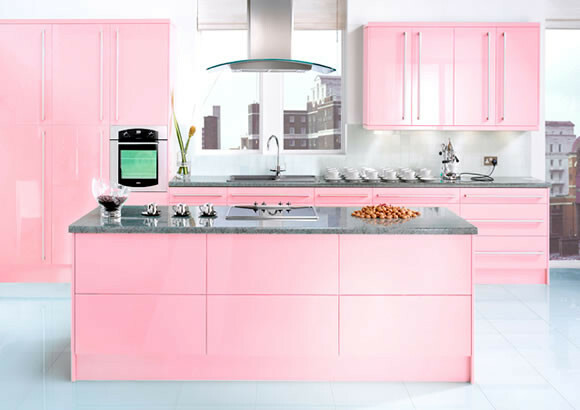 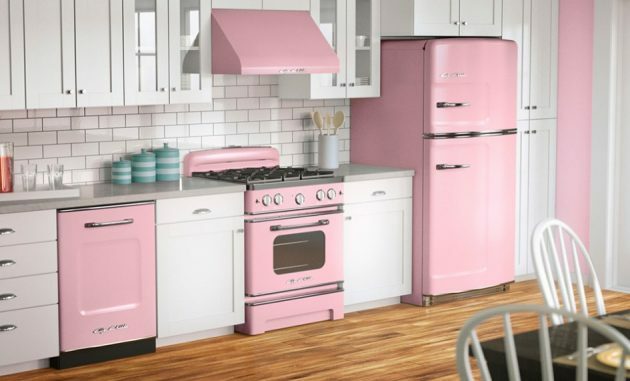 We present you some inspiring examples of 17 gorgeous pink kitchens that will attract your attention for sure!